Sound Development is a not-for-profit organization focussing on selective development of talented artists, not necessarily familiar with and not necessarily comfortable in the worn-out paths of the commercial music business. 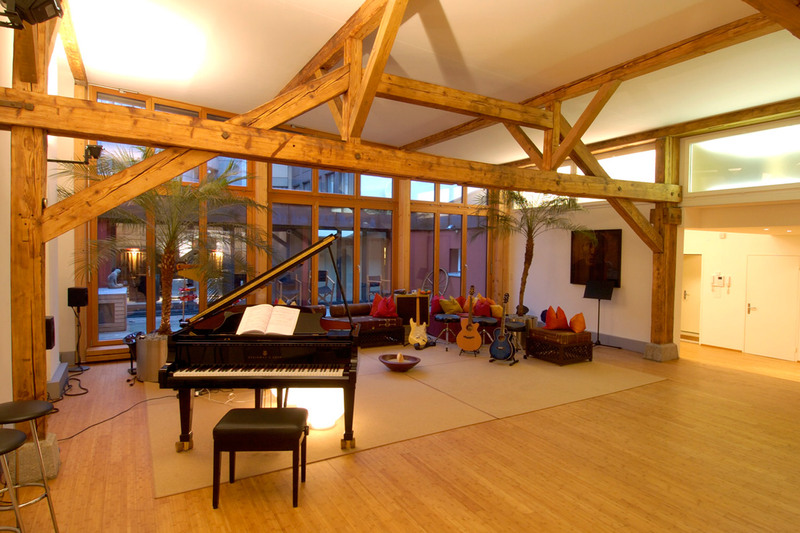 The studio’s purpose is to provide the necessary production tools in an aesthetic, inspiring and intimate environment. 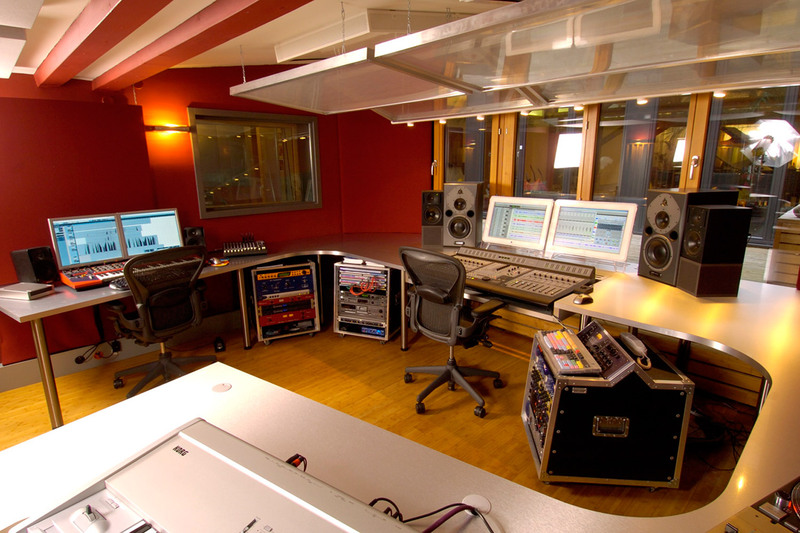 The facility consists of three distinctive production areas: Control Room, Iso Booth and Recording Room. 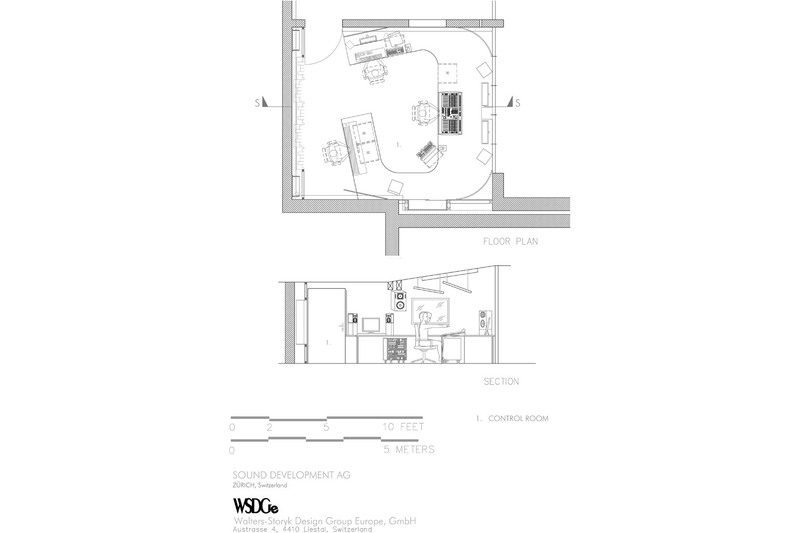 The Recording Room was kept “as is” and no acoustical modifications have been commissioned for that space. The Iso Booth is a prefabricated sound isolated booth by Studio Box. It is positioned to the side of the Control Room, with a window allowing visibility while working. The Control Room’s floor area measures approx. 5m x 6m, the height is increasing towards the front of the room. The Control Room offers three work positions, the engineer, an editor/assistant seat to the left, and a composer/producer seat with dedicated desk space towards the rear of the room. 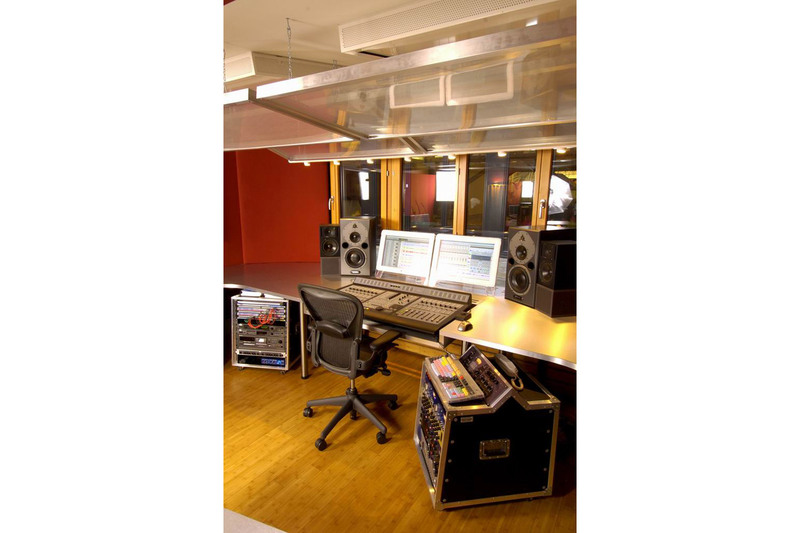 The Control Room is equipped with a number of carefully calculated and positioned acoustical treatments. Low frequency absorption is provided by VPR membrane resonator modules. Mid- and high frequency absorbers are prefabricated and custom fabricated panels, some fabric based, some transparent microperforated foil absorbers with aluminum frames. Rear wall diffusion is achieved by recessed diffractal modules. The Control Roim is perfectly symmetrical. The window looking out to the Iso Booth is duplicated on the Control Room’s right wall as a recessed glass display case. 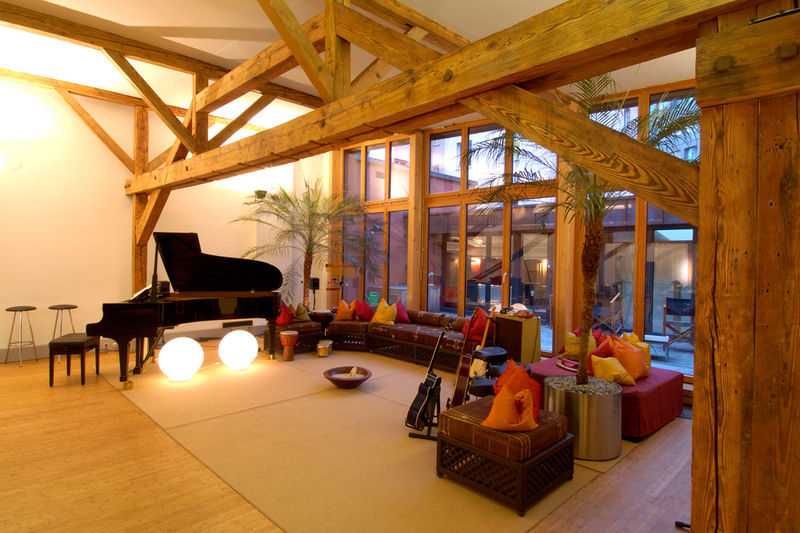 These measures provide a very balanced room acoustical situation, fully according to the relevant standard documents (i.e. AES and ITU/EBU). The Control Room has been equipped as a stereo room, ready for upgrade to a surround room, whenever the need might arise. 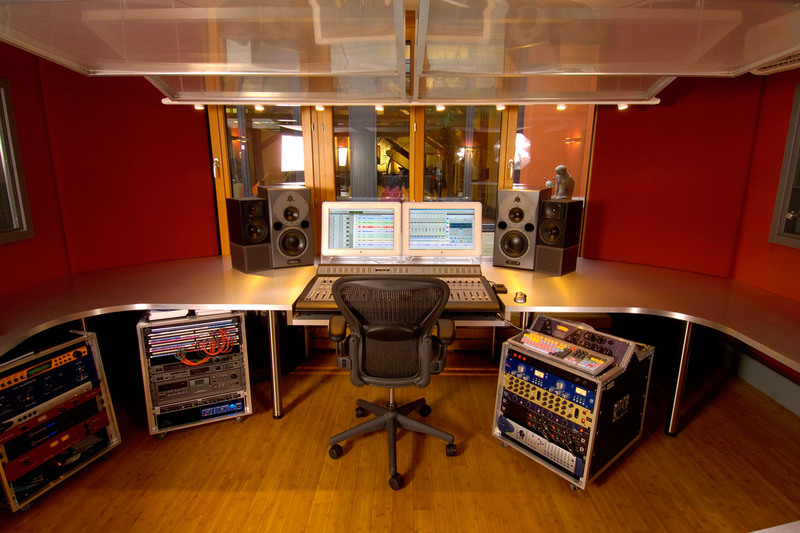 All audio is recorded, mixed and edited in a Digidesign Pro Tools (http://www.digidesign.com/) environment, complete with all the required interfacing and plug-ins on a very high quality level. A lavish selection of analogue outboard equipment and a number of vintage (tube) microphones complete the setup. 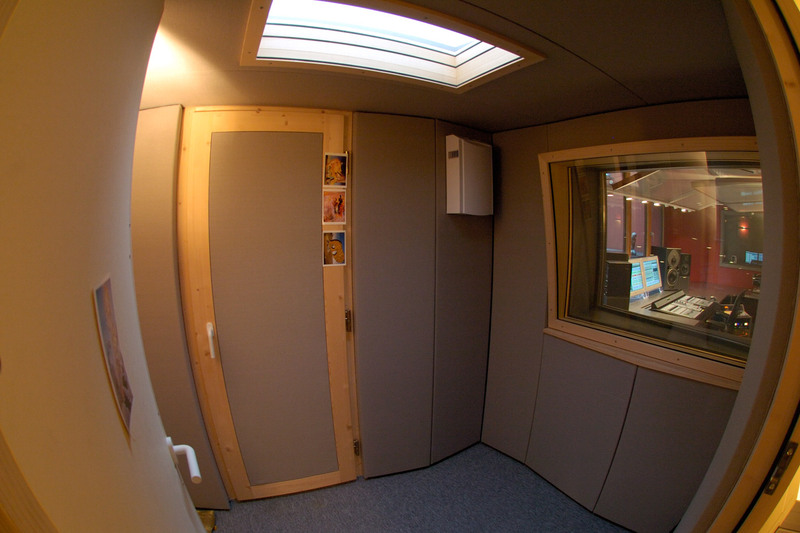 Audio recording and monitoring is possible from a number of locations throughout the facilities generous rooms.